Growing up I suffered with acne on my face, back my chest. I was so embarrassed. I tried everything and nothing worked. As a teenager I turned to makeup to cover it up. I did not know the correct way and had to learn from mistakes. I wanted to understand skin, and teach others my knowledge for the correct way to cover up blemishes. I am now 27 and I finally have clear skin! I have tried every laser, peel, any product imaginable. I always suffered from acne in the 20’s on my jaw line. Of course not every recommendation you read will be the perfect fit for you so I highly recommend seeking a professional for their opinion but if you have been in my shoes and have tried everything, don’t worry doll! There is something that works! Let me introduce to you the Botox facial! What is the Botox Facial?! 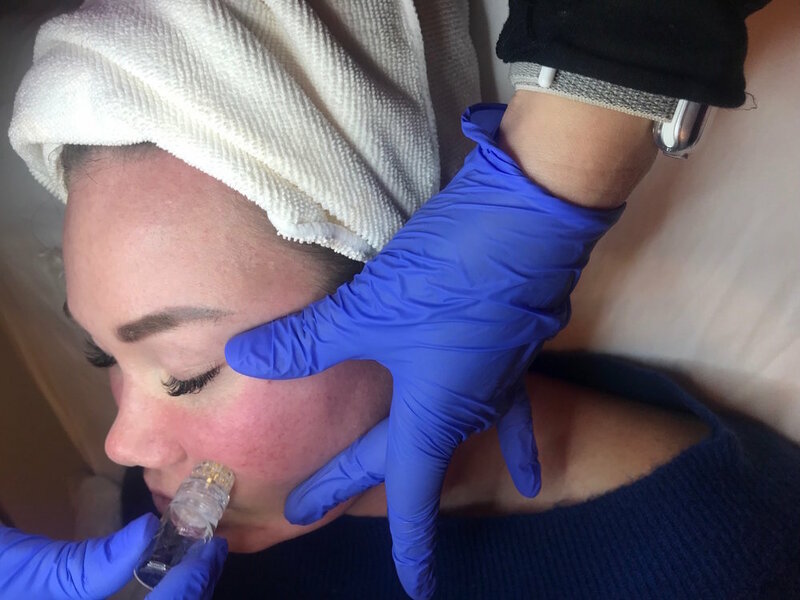 With the Botox facial, using the Aqua Gold microchannel delivery system, I mix Botox, hyaluronic acid filler, vitamin C and a little bit of lidocaine. This is the most popular concoction but the beauty of it is that it is highly customizable depending on patient specific skin challenges. Micro Botox, as it becomes when not injected into a muscle helps to shrink the pores and reduce oil production. The filler helps to stimulate collagen, and gives the skin a hydrated glow. Vitamin C will further that glow and stimulation of collagen. When dealing with more active acne we may opt to put salicylic acid for it’s antibacterial and exfoliating properties. Most people will experience some sort of results within 24 hours but the best results can take up to 10 days. People usually repeat the process in about four months. 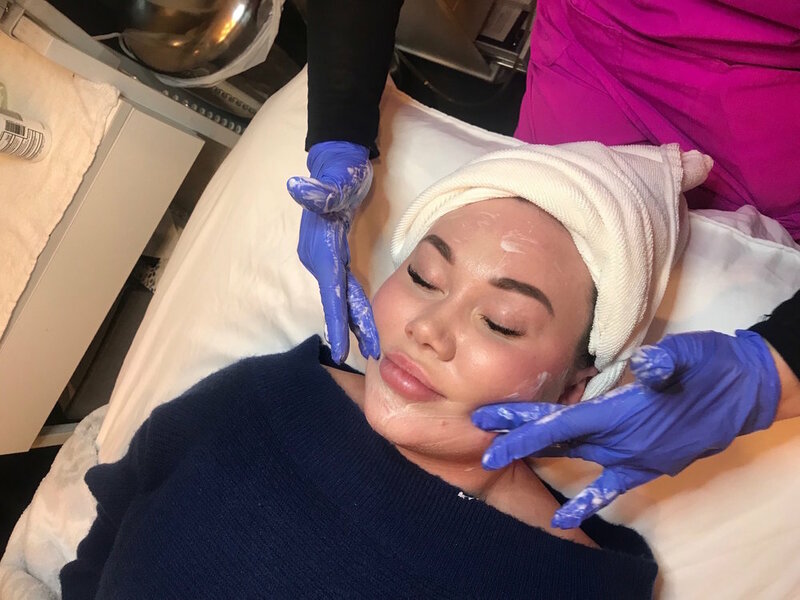 Follow Amy on Instagram at @poshfacialpro for her amazing tips, tricks and specials! Photos below of my Botox facial process! Spa day is my favorite day of the week. To learn more about the amazing Botox facial, click here! That Glam Mom, is just a boy mom!